Changes, they are coming for 2017 with your Alumni Association. At the January Board meeting, the final decision was made to move forward with PayPal for members to pay dues online. You can go the Alumni Web site for details and with information needed to use Pay Pal. RoxAnn Rhoads is the account manager and will be in charge of the accounts. We hope all that want to use this site will be pleased with a new system. A reminder, that you can still send dues via check if you desire. Laurel Scholten, who has been a Board member for 10 years, will be retiring from the Board in June. She is currently the Board Treasurer and we are in need of a new board member as well as a Treasurer. If you are interested, please contact someone on the board and join your Alumni Association Board. Your Association Board needs and wants new members to become active for WHS Alumni. Other news for 2017 includes the fact that monetary concerns are being discussed by the Board and at our April meeting, decision will be made as to a possible dues increase for members to help offset cost of printing the Husky as well as other expenses. Be aware that this decision comes after much discussion from Board members as to how to move the Association forward and continue to be fiscally solvent. Now for other items of interest. I hope you have all received the winter issue of the Husky and really enjoyed the pictures provided by Carol Basset, the Husky editor, from the All Class Reunion held during the Bridge Festival last October. Once again, Carol has provided a great issue for all to enjoy. I also think that you will be pleased with the spring issue coming out as there will be articles of interest to all Alumni. Board members are also looking to develop a Hall of Fame program for current students at WHS as well as noted alumni who have contributed to their profession as well as to WHS. This is our major project for the upcoming year so stay tuned for more details later. We also want you to know your input is important, so please contact a board member if you have concerns or suggestions for future ideas. A continuing item of importance to alumni is to please only use the web site that is for our association. 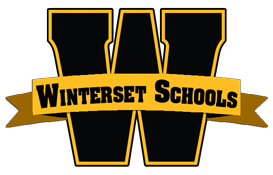 There is a site that some have gotten on which says it is the Winterset Alumni site. This is incorrect so please do not sign up for their products or membership. Please avoid this site. The email address is www.alumniclass.com/winterset.